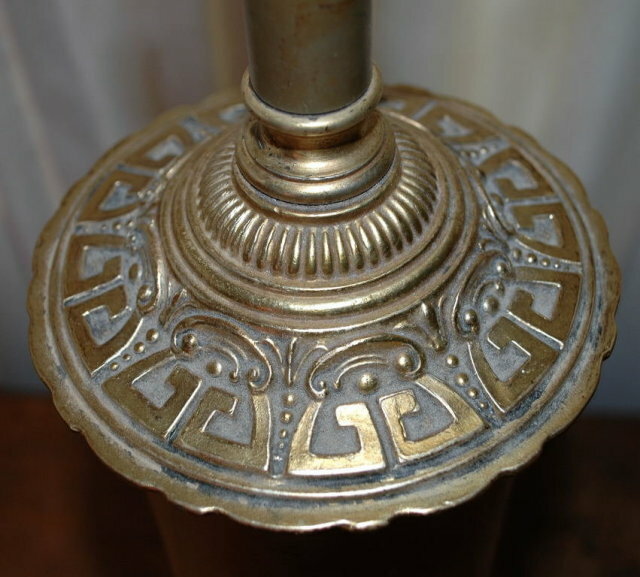 Pair Oriental Chinese Brass Lamps with Shades from the Mid Century Retro modern era. They are brass cylinders with a overlay of brass heavily costumed figures. One is a man and the other a woman. There is wording in Chinese characters under the figures. The base and the top are of heavily decorated relief work of geometric Chinese Key & other ornate patterns. They are both very heavy. The insides are most likely thick iron with in the brass sheeting. Including the shades they measure 29" high and 17" wide. The condition is very good on both. They have a dimmer switch. They both work and the cords are in fine shape. 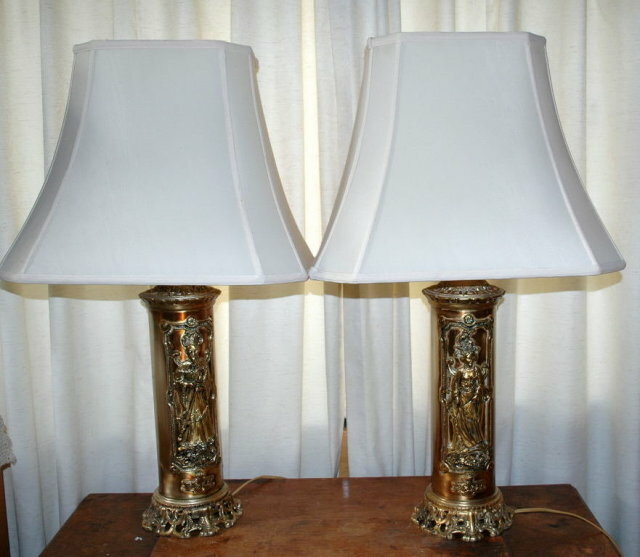 Items Similar To "Pair Oriental Chinese Brass Lamps with Shades Mid Century Retro"